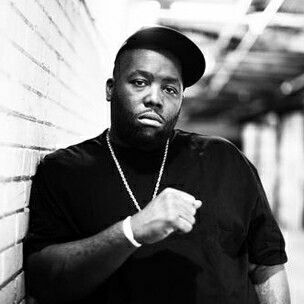 Killer Mike is an American hip hop singer, songwriter, actor, and activist who is the founder of Grind Time Official Records. He made his debut on “Snappin’ and Trappin'”, a song from OutKast’s album Stankonia (2000). He later appeared on the Grammy-winning song “The Whole World”, a single from OutKast’s greatest hits album Big Boi and Dre Present…OutKast. In 2013, Killer Mike and frequent collaborator rapper/producer El-P formed the hip-hop duo Run the Jewels, with whom he has released three studio albums: Run the Jewels, Run the Jewels 2, and Run the Jewels 3. Born on April 20, 1975 in Adamsville, Atlanta, Georgia, his real name is Michael Santiago Render. Following graduation from Frederick Douglass High School in 1993, he enrolled at Morehouse College in Atlanta in 1995. However, he dropped out of college shortly after. In March 2003, he released his debut studio album, Monster, which reached #10 on Billboard 200. He has been married to Shana Render since 2006. He has four children: Pony, Aniyah, Mikey, and Malaik. *He was born on April 20, 1975 in Adamsville, Atlanta, Georgia, USA. *His father was a policeman and his mother was a florist. *He’s the founder of Grind Time Official Records. *One-half of the rap duo, Run the Jewels. *His debut studio album, Monster, was released in March 2003. *He signed to T.I.’s Grand Hustle Records in December 2008. *He is a member of the Democratic Party.